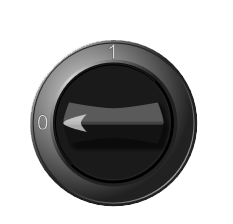 Knob Control Lets you the Modpack maker decide what you want to change and how you want to change it. You are able to do many thing from Turn instant death on/off from not eating to Controlling mob spawn light levels. I have put a lot of time and thought into this mod to make it work the way a Modpack maker would want it by setting everything up in a Modular setting. Below you will find a list of Changes you can make. Client Options which include Turning on/off the F3 Screen, FOV Changes, Food Info, Potion icons and Potion inventory Shift. Game Rules which include Turning on/off Day-Night Cycle, Fire Tick, Keep Inventory, Natural Regeneration and PvP. Poison Control which include Turning on/off Weakness, Slowness, Reduce Poision Damage and control the ticks of each one. Make Withers only Spawnable in the Nether. Each Modular has setting that you can set the way you want them They are as Follows. Allows you to control Player Effects when fighting Mobs or killing Passive Mobs. Think infernal Mobs but with no way to tell what mob does what. Allows you to control what Mob drops a bone when killed. If there is anything you can think of that you would like to see added please let me know by making a post on the issue tracker link above. hmm, disabled wither spawning outside nether and spawned a wither in the overworld. So this option isn't working. Hello, I wanted to ask if there is any video tutorial of this mod, since the state is looking for and I can not find them. Does this really have to put in with every last mob name? It's kinda redundant and swells the line and file size. Why can't I remove drops from Ghast when they're in the mob drop removal config? Why have a totally different option apposed to the file name? Makes no sense. Ok, I fixed the crash a little more allowing us to see the crash in much fuller detail here. Hello! I am no longer supporting the 1.11.2 version of this mod. However looking at this error, the knob control mod is the reason for this crash, they are making unsafe assumptions in their code. Hello, I am sorry but I am no longer support older versions of my mods. There just is not enough demand for the older versions. Here is the link to the screenshot of the config file that shows the old recipes configured in a way that won't cause a crash. Just like in the spoiler, if the ANY of the false were true... it will cause a crash. For v1.10.2 and up, you should add a config option where you can disable the attack cooldown (first implemented in v1.9 and up) when using any item on your hand. I think the best location where this config option should be is in the General Main Config. no it does not, but that is a great idea. i will see about getting it added. Does this mod have the ability to completely disable an enchant? (both vanilla and modded). Like completely disabled, so you can't enchant it from an enchanting table nor will you find enchanted books/items with the enchant in chests and end cities. Happy to hear you're a fan. Let us know if you run into any problems with this version! Would it be possible to make you lose hunger, whenever flying with creative-like flight, such as the Angel Ring, with this mod? yes it is, there is a constant loose hunger option. But it can not be limited to while flying? no it can not. it is a constant hunger lose. I do like the idea thou. I will see if i can come up with something.